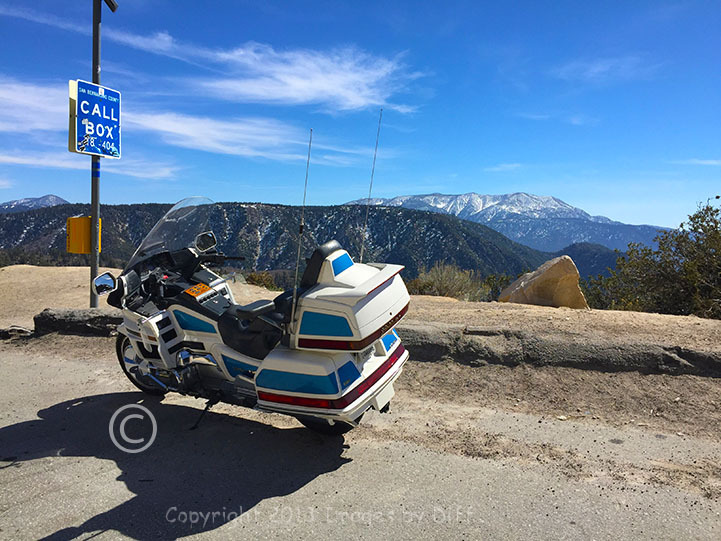 click photo to enlarge Karen was in Cleveland and it was going to be 80 degrees at the house so I went for a ride up into the mountains. These photos are all taken with my iPhone. The first place I stopped was a tubing park in the photo at the top. Back in Ohio I used to carry our tubes in the back of the truck in the winter and any time we wanted to go tubing we could stop at any hill and go. Out in California people pay money to do it and this hill is tiny. 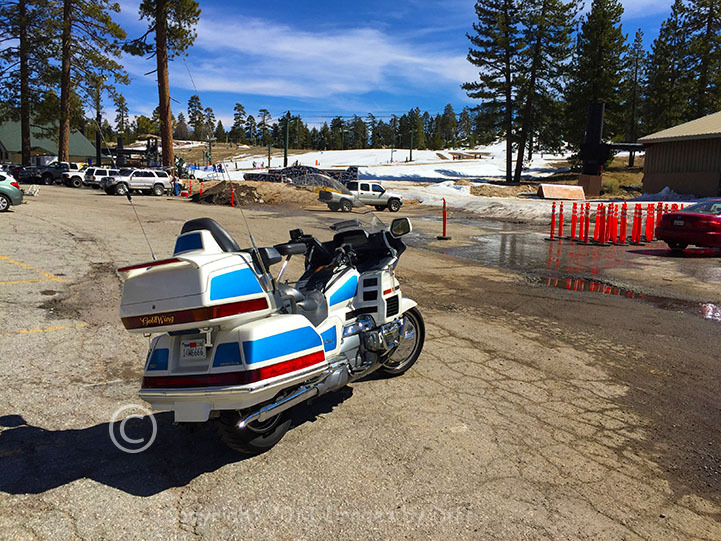 It was about 60 degrees out which made for nice riding and I bet it was nice for skiing or tubing because you did not have to be wearing a lot of bulky winter clothes. 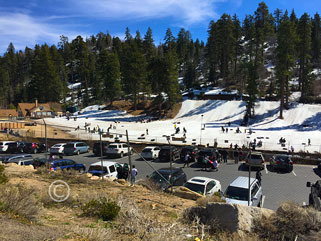 click photo to enlarge When I went though Big Bear City. at and elevation of 6,700 feet. 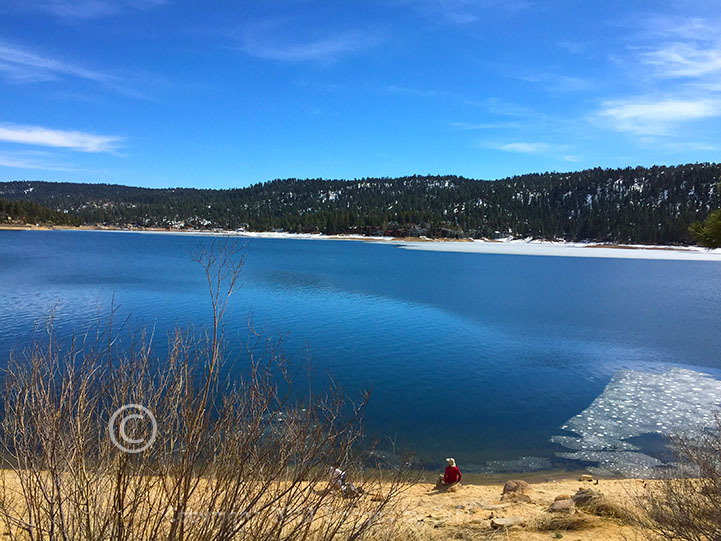 Big Bear Lake still had some ice on it. You can see the ice in the picture at the bottom. 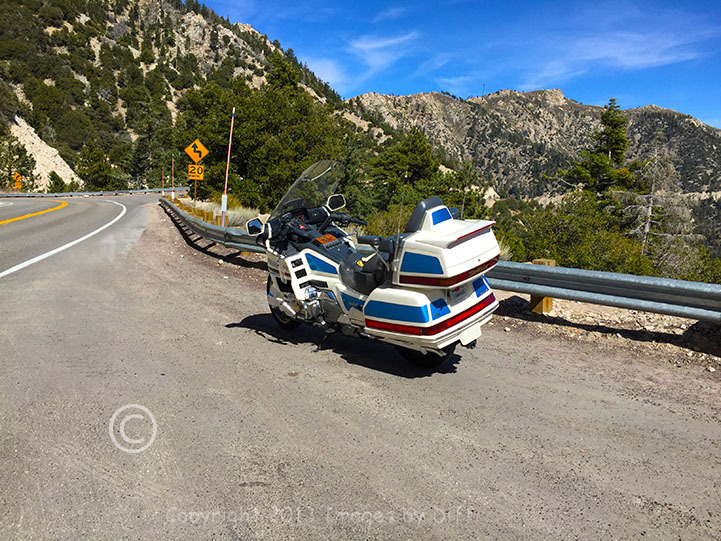 My motorcycle is a 1993 Honda Goldwing and I am the only owner. It is now starting it's 24th riding season and I would think nothing of getting on it and riding across the country tomorrow. My Goldwing is that reliable and has been so trouble free over these 24 years. Every once in a while I think about getting a new one, but when I get on it and ride I think.. what for this thing runs and rides great.